There’s no such thing as “too young” to be thinking about retirement. Here’s a great place to start, for people of any age. While funding your retirement years is likely the last thing on your mind when you're still eating instant noodles for breakfast, lunch, and dinner, this guide will show you that it only takes a little bit of your paycheck to build a strong foundation now for financial security later. Chapter 4. How can I save more money for retirement? Chapter 5: What happens to my 401(k) and IRA if I switch jobs? Chapter 7: What happens when I actually do retire? You don't have to be a stock broker to understand how investments work. Don't let the terms or the thought of "investing" scare you off. This is going to be easy. Like you won't have to get off the couch easy. We're going to tell you how you can put your hard work saving money on autopilot–from setting up automatic paycheck deductions to downloading the coolest money and finance apps around. What is a Retirement Fund? It's an investment account into which an individual deposits a percentage of their salary before taxes. That money is then invested in a variety of asset allocations, including stocks, bonds, mutual funds, and ETFs. (Learn more about assets in the U.S. Securities and Exchange Commission's Beginners' Guide to Asset Allocation, Diversification, and Rebalancing). Asset allocation is a fancy way of saying you have a choice in your investments based on your financial goals, the timeframe of your investments, and your tolerance for risk, such as when the stock market likes to pretend it's on a roller coaster. For example, if you're in your 20s and 30s, you have time for your retirement fund to recover from the rises and falls of the stock market. If you were in your late fifties, you probably wouldn't be so willing to ride out the market, since you'll be retiring soon. So if you're feeling gutsy, and you're young, you might want to choose riskier assets and allocations of those assets, assuming the bigger the risk, the bigger the reward in the end. Below is a brief run-down of the most common type of assets, that when baked together into a pie, become a portfolio. You "allocate" your money to buy these assets. How much of what asset you buy becomes your "asset allocation." The way most people think about it is, you pick an asset allocation that matches your goals i.e. 70 percent stocks and 30 percent bonds is a common one for young people, and buy the assets accordingly. Stocks: When you purchase stock in a company, you own a small part of said company. But don't change the title on your business card just yet—you are one of many, many stockholders of that company. Still, if the company does well, you do well, and your stock increases in value. Stocks are volatile, though, which is why the stock market often makes headlines. Bonds: When you invest in bonds, you are loaning your money to a company or the government, and you get paid back with interest for the term of the loan. Because you have control over the length and term of your investment, you know the amount you'll receive when the bond matures, making this a conservative option for investors. Mutual funds: These are groups of stocks, bonds, and other assets that make it easy for someone with little money to invest in a diverse portfolio. Diversification is a good way to manage risk, which makes mutual funds a less scary option for first-time investors. ETFs: An exchange-traded fund, or ETF, is similar to a stock. Its price may rise and fall throughout the day as other ETFs are bought and sold. As they have lower fees than mutual funds, many individual investors find ETFs valuable for their portfolio. If you use the Acorns app (more on that later), the money you set aside is invested in ETFs. The beauty of investing is that you earn more – on average over the years – money than putting it in a savings account. How much? A conservative estimate for interest earned on a retirement fund is five percent. Compare that to a savings account that offers one percent. Even a non-math geek can understand how that difference can add up to make a big impact on your retirement fund. You're earning interest at a rate more than two times higher than just leaving your money in a savings account! This kind of interest rate adds up. Skipping the Starbucks for one year can save you $1,825. 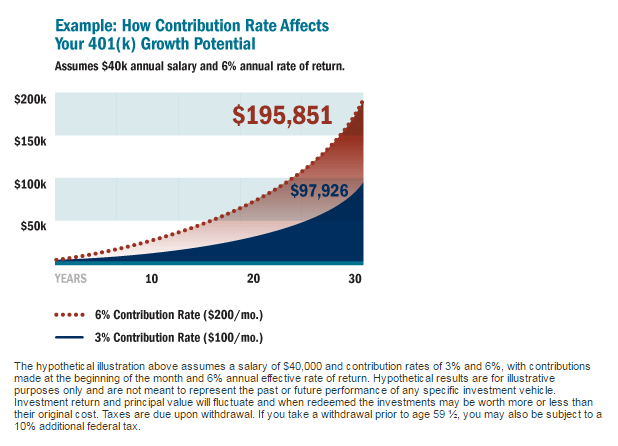 If you let that money sit in an investment account at 4% interest (just for kicks, we'll even go more conservative with our number) for 35 years, the amount will grow to a whopping $147,000. Sounds like magic, right? It's called compound interest, which we explain more about later. Bottom line: You're going to want to stop working at some point, right? Unless you like living paycheck to paycheck, or perhaps you'd prefer to live with roommates forever, then you need to start saving for retirement. So where do you start? Ideally, you can schedule a talk with your friendly human resources department. Companies that support retirement funds are sadly getting rarer and rarer, but if you happen to work for one that does (Unsure? Go ask HR! ), consider yourself lucky. These company-sponsored savings programs, known as 401(k)s, are super helpful to get that retirement fund rocking – especially, if your employer matches what you contribute. Don't have an HR department or work for yourself? Don't worry! There are solutions to make sure you don't miss out on building your retirement fund. We get into them in chapter two. Most retirement funds can get started with as little as a couple of percentage points of your salary contributed each pay period. Of course, when you're hovering on that first rung or two of the corporate ladder, you'll likely feel the need to hold onto every last hard-earned penny of your paycheck. When you're young and have your whole life ahead of you, it's easy to live for the moment—especially when you're living paycheck to paycheck. And while you can play catch-up with your retirement savings, it's important to realize just how important it is to get started saving in the first place. Because your contributions are made before taxes are taken out of your paycheck, you are capped at a certain percentage. Be sure you are at the maximum limits for your monthly contribution or are actively working your way toward it. Variety is the spice of life—and your retirement portfolio. Don't put your proverbial eggs all in one basket by choosing one type of investment, or asset. Choose asset allocations that make the most of your money with the least amount of risk for your age. If you've maxed out your 401(k) contributions and still have extra money for investing, consider an IRA. An IRA is also what you'll want to get started on if you work for a company that doesn't have a 401(k) benefit plan. (Note that with IRAs, you've got different options. We'll explain in more detail what they are in the next chapter.) You'll also hit a ceiling with your contribution levels to an IRA, but any extra money toward your retirement fund is always a good thing. “Most individuals only begin to save when they feel ready," says Joseph Milano, CLU, CLTC, Managing Director of the Milano Financial Group in Staten Island, NY. When working with young clients, he says it's all about their long-term financial goals and objectives. When those are clear, he educates them on how they can achieve them. “The most vital part of the discussion and planning is that money saved today will buy bigger and better experiences tomorrow," says Milano. In other words, the financial sacrifices you make today will pay off big time in the future. Aside from 401(k)s and IRAs, there's another option to save for retirement called a pension. A pension is a different from a traditional retirement fund in that it is a defined benefit plan. Translation? When it's time to retire and start withdrawing money, you will be guaranteed a set monthly income that matches what you were making pre-retirement! Employees don't actively manage or fund their pensions. The employer pulls money from the employee's paycheck and manages that investment process themselves. If you're wondering how this "magic" can happen, it's mainly because the employer takes on the risk. Because its a lot of risk, pensions aren't widely used outside of union jobs and the government sector—they are too costly for employers to maintain. Rather than manage that risk, most private employers prefer to offer 401(k)s, or nothing. This puts the risk of investment and act of saving back on the employee instead of the employer. An IRA is a good option if you are a sole proprietor or work for a small employer that doesn't offer a retirement plan like a pension or 401(k). Many companies, like Fidelity and Wells Fargo, make it easy to open an IRA online, so you can get to saving right away. No need to go through that sticky HR department. There are several different types of IRAs, but let's keep it simple and stick with the two primary ones, a traditional IRA and a Roth IRA. "There are income limits for Roth IRAs, so if your income is above those limits, then it's a no-brainer: a traditional IRA is the only one for you." Besides your income now, there are different scenarios to think about when you choose an IRA. Generally, you're better off in a traditional IRA. Why? Because by deducting your contributions now, you'll lower your current tax bill. As the Money article states, "When you retire and start withdrawing money, you'll be in a lower tax bracket, thereby giving less money overall to the tax man." It's probably smarter to start contributing to a Roth IRA, which basically gets your taxes sorted now when you're in a lower income bracket than later. 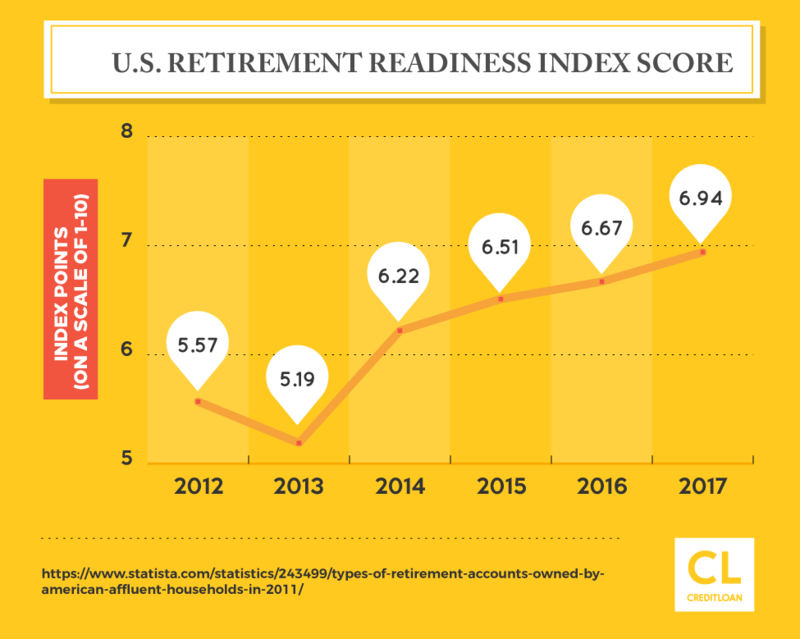 We're going to dive into the weeds on this one and include a full excerpt from the Money piece because understanding IRAs is important if you are self-employed AND if you are one of the lucky ones whose company helps you save for retirement. But it can be difficult, if not impossible, to guess what tax bracket you will be in later in life, particularly if you've got a long way to go until you retire. So if you're not sure, another rule of thumb is to keep your retirement savings tax diversified, meaning you have accounts that will be both taxable and tax-free when you cash out in retirement. For example, if you already have a tax-deferred 401(k) plan through your employer, you might want to invest in a Roth IRA if you are eligible. The Roth also offers more flexibility: You can withdraw your contributions (but not the earnings) without incurring a penalty so you have more access to your money. So if you've got a long way to go before retirement, and you're concerned about locking away your money for too long and want to be able to get at it if you need it, a Roth might be the way to go. Which is better? Start now with little or wait and contribute a lot more? Whether you are employed by a company that offers a 401(k), 401(b) or pension, or if you just choose to set up an IRA, you should start saving for retirement as soon as you can. Every year you wait, and tell yourself, "next year" or, "I'm too young," is another wasted opportunity to be making money in your sleep through investing and compound interest (see chapter three). All of this investing talk sounds complicated. Can't I just put my money in a regular savings or money market account? No, if you're looking for a real way to save money for retirement, retirement accounts as explained in chapter two are the way to go. Why? Two words: compound interest. Compound interest is the closest thing to financial wizardry you'll find. In a nutshell, compound interest is generated when the interest that accrues on a starting balance keeps accruing interest on top of interest—hence, the term “compound." Yes, you're reading that chart right. Charts like this one give people who invest and save for retirement pleasant dreams at night. 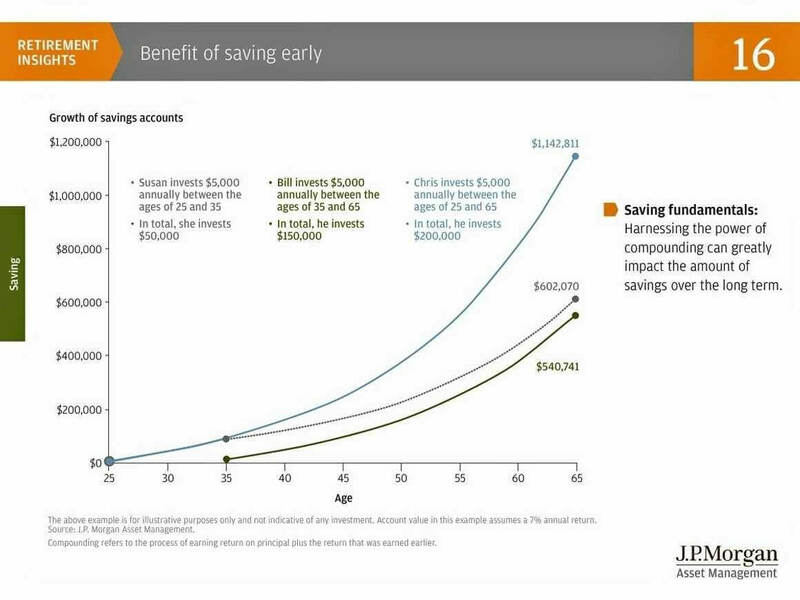 Here's why: If you start saving at age 25 like Mary did (see chapter two), your retirement fund could hit the six-figure mark by the time you're 35. If you stay on track with your savings—and kick in a little more for good measure—your account could reap a 6-figure bonus every decade. As the compound interest grows year after year, it makes sense that you could be a millionaire by the time you retire. Those small monthly investments you are making—and hopefully, your company is matching—add up exponentially over the decades. “Compound interest is the 8th wonder of the world," says Milano, so take advantage of the “magic" of increasing your savings by around 6% or 7% year over year. Word of caution and note here: If you are in a lot of debt, then take steps to pay off that debt before you start upping the retirement fund. Any money you make through investing and compound interest will be eaten alive by the negative interest rates your credit card or bank is charging you. See chapter six for more about debt vs. saving for retirement. 1. Start making your own coffee. Seriously… stopping off at the café for a foamy hot beverage on the way to work is super convenient, but it's also super expensive. In fact, if you cut out a latte a day, you could be well on your way to retirement. This is the basis of The Latte Factor, the principle made famous by David Bach, best-selling author of “Smart Women Finish Rich" and “The Automatic Millionaire. The Latte Factor® is based on the principle that if you set aside the money you would normally spend on your daily cup of coffee, you have the potential to save some major money. 2. Max out your contributions. Remember we mentioned that all it takes is a few percentage points of your salary to get started? That's still true, but after a while—in fact, as soon as possible—you're going to want to increase those point by point. If you work for a company that offers 401(k) support plans, then find out from your HR office just how much you can contribute to your retirement fund. Slowly increase your contributions until you meet that mark. Many employers will match your contributions—and if that sounds like free money to you, you'd be right. If you rely on IRAs instead, then learn what you can contribute each year by checking out the IRS's website. 3. Automate your savings. 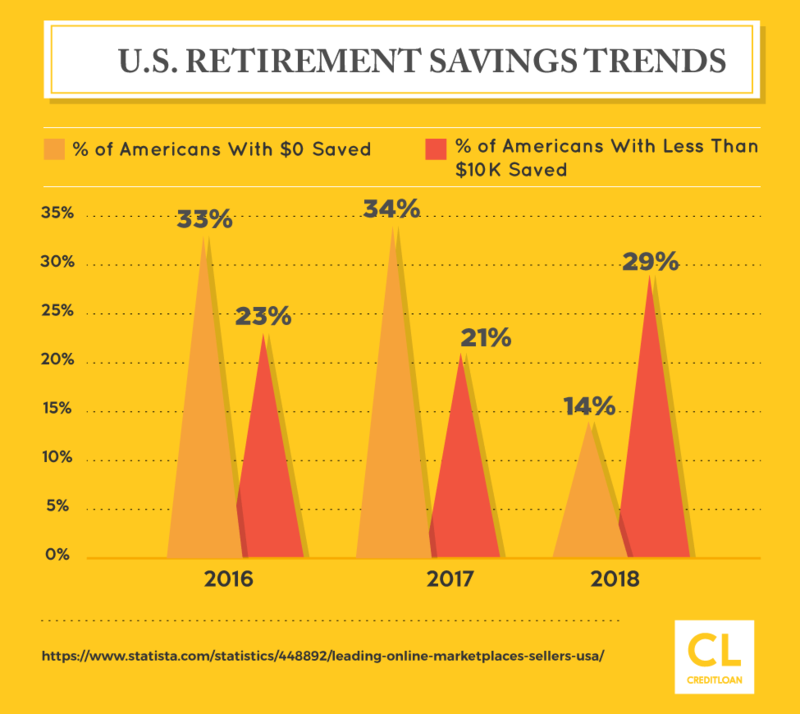 Old-fashioned savings plans usually involved taking a percentage—say, 10%—from every paycheck. When you're not making much money in those early years of your career, you'll really feel that 10% missing from your check. You know what you won't feel? A couple of bucks here or there. Acorns: Can attach to your credit or debit card—every time you make a purchase, it rounds up to the next dollar and invests that amount into ETFs. Easy peasy. Qapital: Another app that lets you input savings goals (a vacation, perhaps) and you can (virtually) toss a few bucks toward it whenever you can. Digit: Every two to three days, the app will automatically transfer money to a savings account based on your spending habits. Don't worry—there's an overdraft guarantee feature that ensures you can afford every transfer. Can you imagine getting overzealous with savings? It's totally possible once you start to see the numbers add up. And boy, can those numbers add up! Can I really be a millionaire? In theory, yes, you can be a millionaire by retirement. But it takes smart planning and smart saving—and it's a heck of a lot easier when you start early. Put that cost of living increase to good use and increase your contributions by 1% each year until you reach the limit. If Uncle Sam owes you, we can't think of a better way of using your April windfall. Bonuses and incentive salary are usually taxed heavily—but you can avoid some of it if you invest it in your retirement account. To keep your retirement account when you get a new job you need to do something called a "rollover." Find out your current balance. If you are staying within the same professional sector (corporate or non-profit), it may make sense to rollover your balance into the retirement account sponsored by your new employer. But if you're leaving your professional sector completely, you might choose to roll it over into an IRA. That's fine, too. Set up the new account. You'll likely be given paperwork during the onboarding process at your new job. (Be sure to ask.) Ask your HR rep to go through it with you so that you complete it correctly. Don't be afraid to ask questions—it's what HR is there for. Good job! You've just rolled over your retirement account. But what if my new company doesn't have a retirement plan? That's OK! You can still roll over your old 401(k), but you'll open an IRA to do it (see more about IRAs in chapter two). It's easy to open an IRA online, and you've got plenty of options to do so. Note: You don't need an HR person to set up an IRA. But since you're not working for a company that supports your retirement planning i.e. it's not contributing $ to a 401k account by deducting money from your paycheck, then you'll need to be extra diligent about making sure to save. You won't have to fly solo with your rollover, either. Companies like TD Ameritrade and Fidelity will walk you through the process. What if I cash out the 401(k) and reinvest the money instead? Granted, there are some good reasons for cashing out early (such as funding a down payment on a home or emergency medical expenses), but hear us out: Not only will you be taxed on it (it counts as income—more on that later), but you'll also face stiff penalties for taking out the money before you reach retirement age. Moral of the story: Ask for help, where you can. But realize that with or without a supportive employer, because of fintech and IRA services you should feel empowered to take charge of your future – and start saving for retirement. If you've got a share of the nation's nearly $747 billion in credit card debt or $1.3 trillion in student loan debt, you're probably wondering whether you should pay off those bills before you start saving for retirement. Financial experts often tell us that credit card debt is “bad debt" and to pay it off quickly. Student loan debt is also a burden. What's a smart saver like you to do? Goldwert thinks it depends on your age. “If you're on the younger side, pay off that balance since it's just piling on interest," she says. “Lowering that monthly bill will free up your money to put toward retirement." Do you notice a theme? The more you have to add to your retirement fund the earlier, the better. Goldwert also says that if you're older and have debt, keep adding to the retirement fund, but chip away at that monthly debt bill as much as you can. Be aggressive, trying to pay more than the minimum required each month. If you have questions about the timeline for your debt, then check out the app, Debt Free. This is a great app (totally worth the 99 cents) that gives you a solid payoff date for all of your debt. Want to make an earlier date for your debt freedom? All you have to do is pay a little bit more toward your bill each month, and you'll see how much you'll save in interest. Again, as we've proved in every chapter, the more you have to add to your retirement fund, the better. That's why it's so important to budget your paycheck so that you've got money for living and saving. You can do it! News flash: Time flies. One day, you'll look up from your life and career and say, “Oh hi, retirement." And unless you'd like to continue living with roommates—really awkward if you decide to get married and have a family—you'll want to take time now to set yourself up for retirement. In case you didn't know, retirement basically means you don't have to get up and go to work. You basically get to do whatever you want – up to the amount you generated in your retirement fund – every day. They don't call retirement the golden years for nothing. Of course, living the good life means different things to different people, but one of the common denominators is financial security. By the time you're at retirement age, it's time to start living off of your carefully saved retirement fund. And pay taxes. Chew on this: Why do you think so many seniors move to Florida? It's not just because of the beautiful warm weather – Florida is one of a number of states that offer lower taxes for retirees. Florida has about 9.2 percent in local and state taxes. Compare that to 13 percent in California. For a person planning to live off of $50,000 a year, a four percent tax added up over 20 years (assuming you retire at 60 and die at 80) comes in at a hefty $40,000 cost in taxes. That's nearly one year of retirement given to Uncle Sam. No thanks. We get it. You've got your nose to the grindstone at work, and it's hard to think past the project that's due tomorrow. Which is why it's even more important to start thinking about your retirement now. 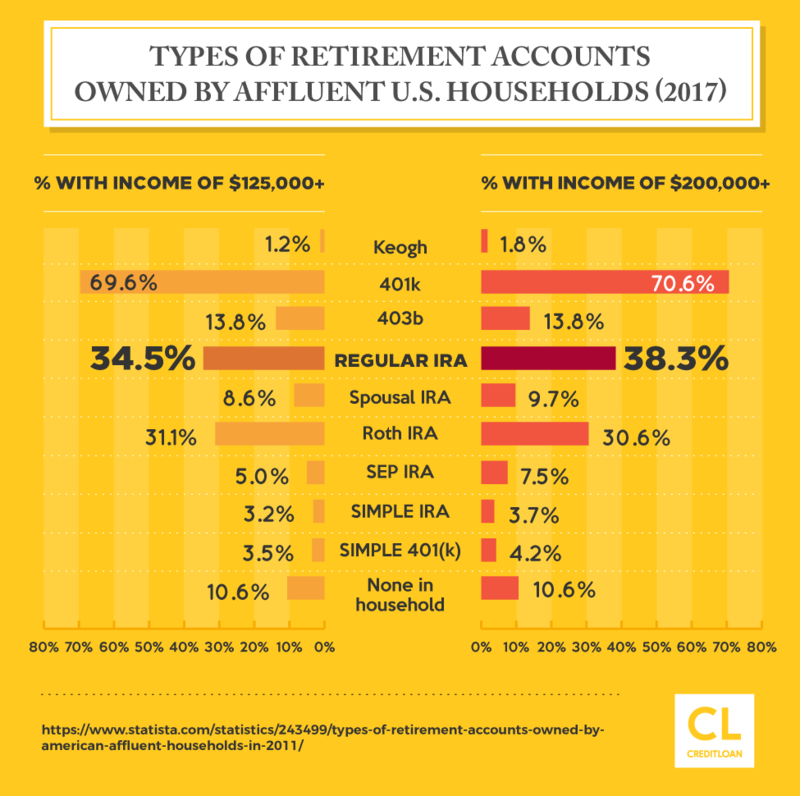 Funding your retirement account isn't exactly rocket science, even if it does take some time to wrap your head around the sheer mathematical wonder that is compound interest. But now that you've got the tools you need, you can put a savings plan in place that works for you—and future you. Now get to work. You've got a hungry retirement fund to feed.